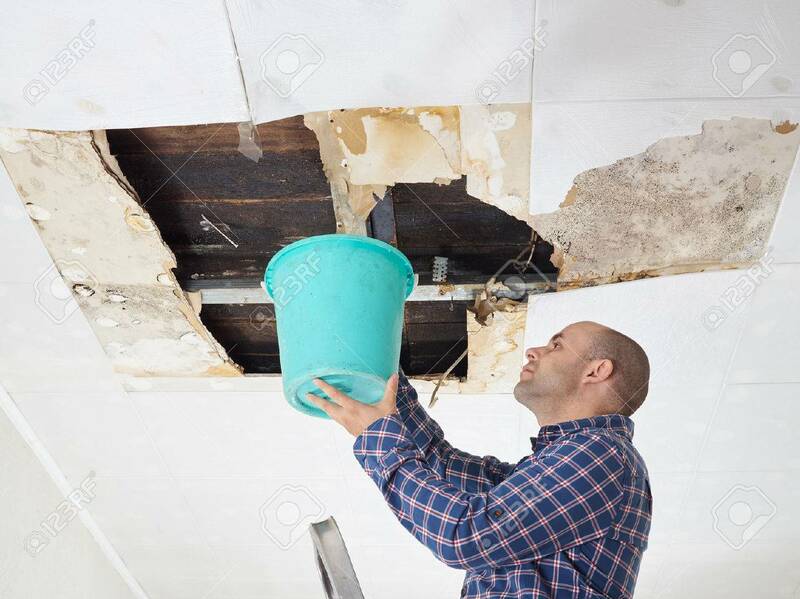 Man Collecting Water In Bucket From Ceiling. Ceiling Panels Damaged Stock Photo, Picture And Royalty Free Image. Image 54733094.